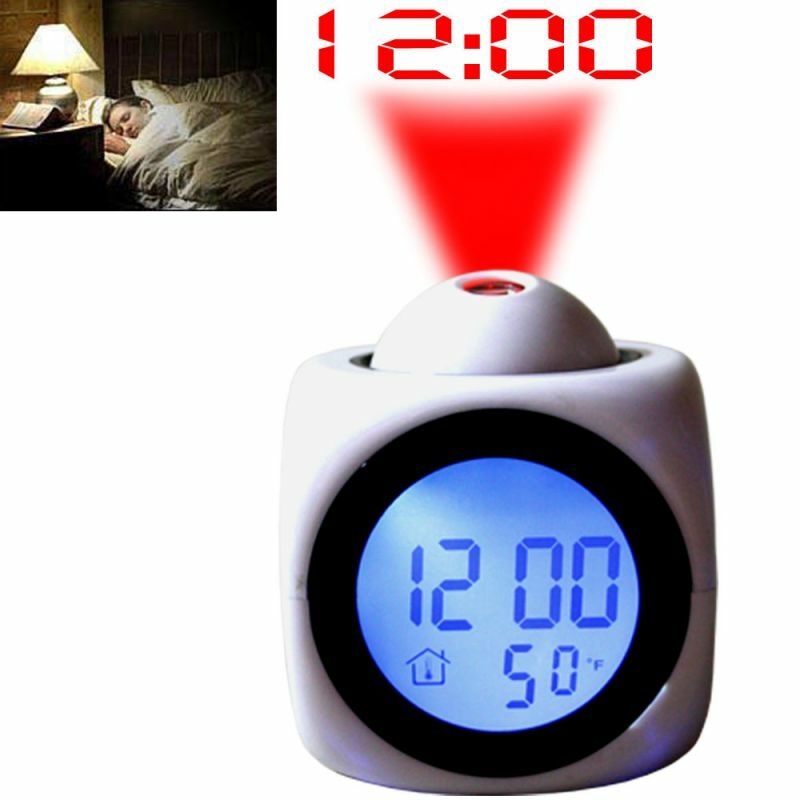 This is a digital projection alarm clock, with talking, snooze and thermometer function. 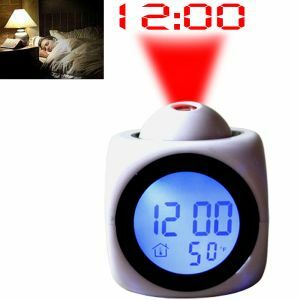 This projection alarm clock can project the time number on the ceiling for you to read it clearly. And it can reporting current time when (talking is "ok"). Stylish design and mini size, best choice for ornament your bedroom. LCD displays hour, minute and temperature on blue back light. When talking key is "ok" mode, just press the button on the top, the clock will automatically reporting current time and temperature. 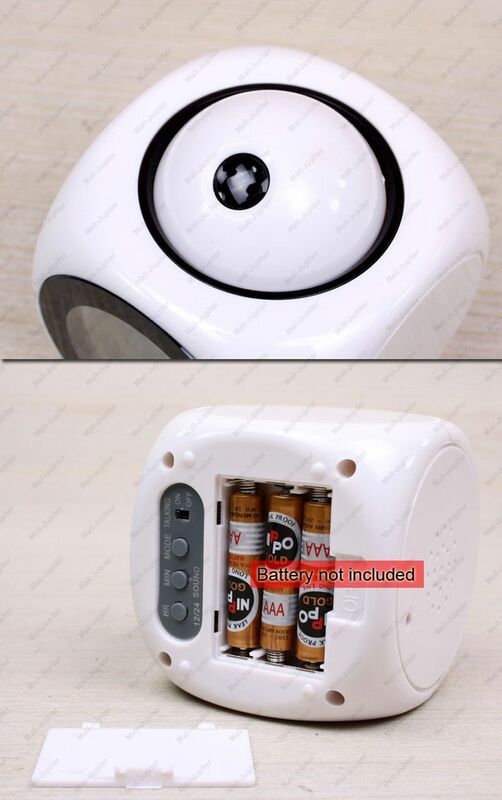 With Alarm and 10minute snooze function. Foci and angle adjustable projection. 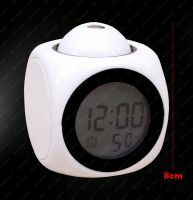 Light weight, fashion cube-shape, is a decoration on your desk. 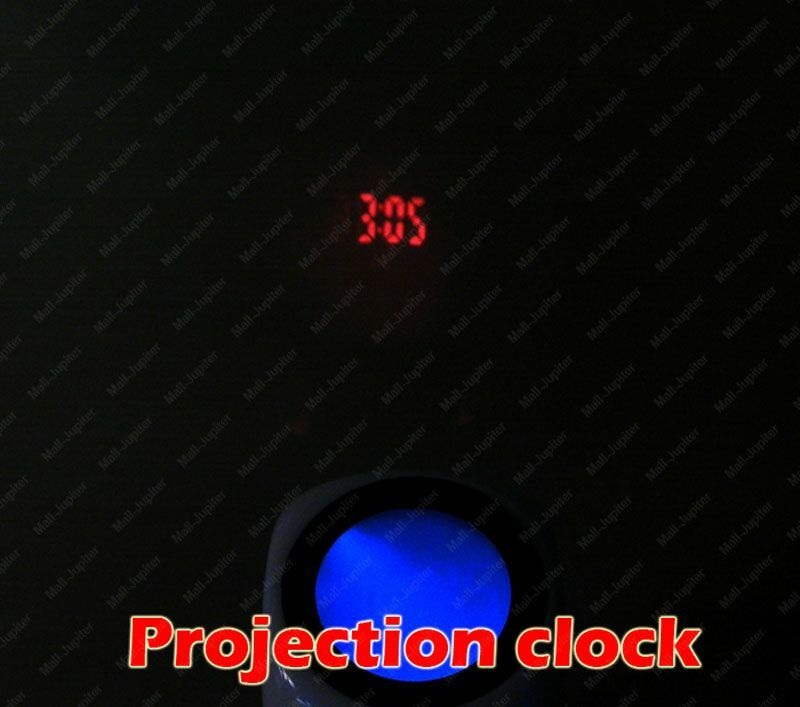 Projection: you can see the time numbers displayed clearly on the place you project.